It seems like my keyword these days is "chic" and I'll take it. 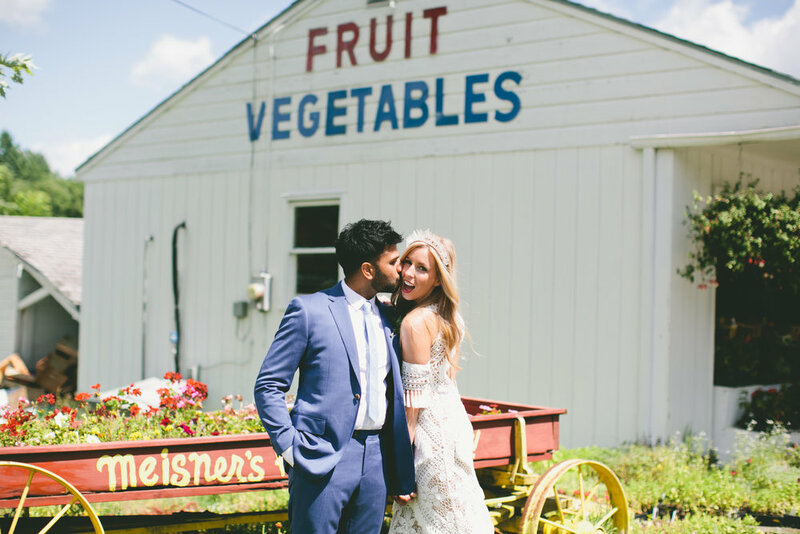 2017's couples were the chic-est and I'm so happy so share that Colleen + Dhiran's boho wedding at Basilica Hudson was recently featured on Popsugar. It was such a cool event with bridesmaids all in white, the most killer wedding dress (+ sleeves!! ), confetti everywhere, a surprise video montage from the groom, a custom neon heart, details to make your eyes pop, and toasts that left me all misty eyed. It was all there, but most of all it was full of LOVE. These two know how to throw a wedding. All our love to C+D! See the featured article here.